Amersfoort has a wide range of museums, events, arts and culture. With over 250 cafés and restaurants the city is great for fine dining or nightlife. Moreover, the surroundings of Amersfoort is very diverse; both polders and reed lands, forests and dunes. As a result Amersfoort is the ideal starting point for recreational cycling tours. 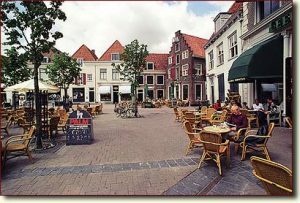 Amersfoort is located centrally in the Netherlands, with cities like Utrecht and Amsterdam very nearby. Museum Flehite is a great museum that is in a row of old houses,(16th century) and has an interesting collection of both artefacts and works of art that are relevant to the city and the surrounding areas. The Mondriaanhuis is located at Korte Gracht 11, in the inner city of Amersfoort. Pieter Cornelis Mondriaan was born here in 1872, as the son of a head master. Piet Mondriaan lived in Amersfoort until he turned eight and in many places in the Netherlands and overseas. He died in New York in 1944. Thanks to the initiative of architect Leo Heijdenrijk and his wife Cis Heijdenrijk, Mondriaanhuis was established at Mondriaan’s birthplace. Here you can learn about the life and work of the world famous artist. You can also find exhibitions of artists inspired by Mondriaan. The Lieve Vrouwe tower is a church tower in Amersfoort. 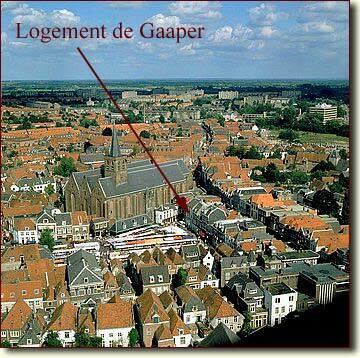 The Late Gothic building is 98.33 metres (322 ft 7 in) tall and reaches high above the inner city. It is one of the most eye-catching monuments in town and the third highest church tower in the Netherlands. The nickname of the tower is Lange Jan (‘Long John’). The church that belonged to the tower was destroyed by a gunpowder explosion in the 18th century. Amersfoort Zoo is so much more than normal zoo. Lions, rhinos, meerkats, giraffes … At Amersfoort Zoo live up to 150 different species! You can view the animals up close and in some cases even touch them.